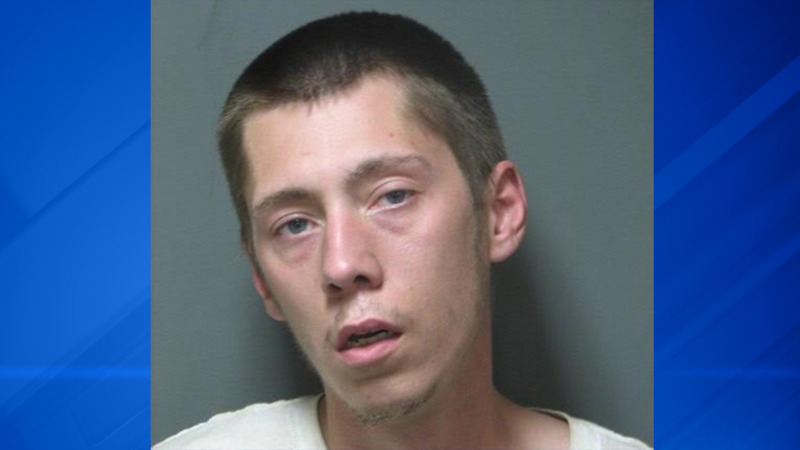 LANSING, Ill. (WLS) -- Home surveillance video led to the arrest of a man suspected of carrying out a series of burglaries in the south suburbs. A home security camera on Monday in Lansing captured images of a man walking the area of 175th and Roy streets where there were several reports of garage burglaries, police said. The video also captured an image of a white Chevrolet Blazer. The images led to burglary charges against 27-year-old Joseph Peppin, police said. A surveillance image of a suspect in a series of garage burglaries in south suburban Lansing. Peppin was charged with four counts of burglary and investigators believe he is linked to other recent burglaries in that area. Lawn care equipment and tools were stolen from the garages and police said that they were able to recover some of the stolen items and are sorting out the recovered items and notifying their owners. Anyone with information on the burglaries is asked to contact the Lansing Police Department Criminal Investigations Division at 708-895-7150.